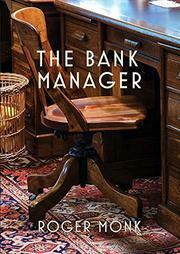 An Australian police detective investigates a bank manager’s disappearance in Monk’s (The Bank Inspector, 2014, etc.) thriller sequel. When the South Australian Police decide to station a detective in the Yorke Peninsula, they transfer promising young DS Brian Shaw. He hasn’t even settled in when Great Southern Bank manager Frank Andersen goes missing; he left the office to tend to customers and never returned. Shaw soon uncovers two significant clues: Andersen’s abandoned car is parked on his property and contains the bank money that he brought with him but not his revolver; and a witness says that he spotted Andersen driving with a passenger, which is against bank policy while conducting business. Andersen himself is nowhere to be found, and Shaw soon surmises foul play. While “chasing alibis,” he finds some suspects to be less than cooperative, and the mystery deepens after the allegedly accidental death of someone with ties to the bank, which Shaw thinks is murder. Fortunately, he soon gets help from an unlikely source. Monk deftly captures the dynamic of a city detective adjusting to life in a country town; for example, Shaw receives seemingly endless invitations to people’s homes for dinner, including one that may be an attempt to set him up with someone’s daughter. Similarly, the unhurried narrative concentrates mainly on Shaw’s conversations and interrogations; some are innocuous, as when Shaw explains the procedure for upgrading a disappearance to a murder, but they serve to make other moments more shocking. A few supporting characters stand out—most notably Andersen’s wife, Kath, and South Australian Police Sgt. Arny Milhouse, who bumps heads with the newly arrived Shaw. A romantic interest for the detective, though, is introduced a bit too late and distracts from the unraveling mystery. An unassuming detective story, but one that offers a vibrant array of characters.